This work looks at the process of European integration by focusing on interest intermediation in the European Community. In order to characterize and explain various patterns of interest intermediation, the author employs a modified, neo-institutionalist approach. This framework provides a coherent picture of interest intermediation and explains the variety of bargaining patterns and interest group participation in EC policy-making. This study also looks at issues important to the future of the European Union, focusing on policy-making, governance, and fair distribution of costs and benefits of integration. 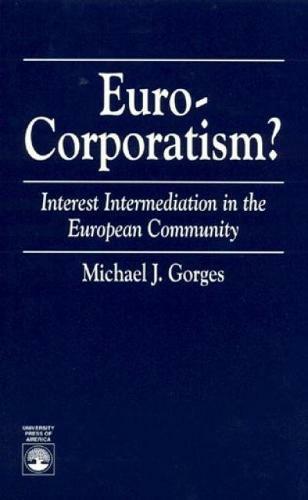 Euro-Corporation? will interest students and scholars of international relations, regional integration, European politics and European integration, interest groups, and industrial relations.